After spending an obscene amount on books over Christmas, both real life books and e-book format, I’ve kinda decided to try and not buy excessive books as the impulse grabs me this year. It’s going to be BAD and possibly lead to withdrawal symptoms, crying and the occasional tantrum. For this I apologise profusely. I had an amazing year of reading last year. And 2013 seems to be a great year for reading too – so many fantastic sounding titles are coming out to devour. There are two that I am super keen about – and not just because they’ve been written by friends of mine either. When Tom’s big brother dunks Frankie the goldfish into radioactive gunge, Tom zaps the fish with a battery to bring him back to life! 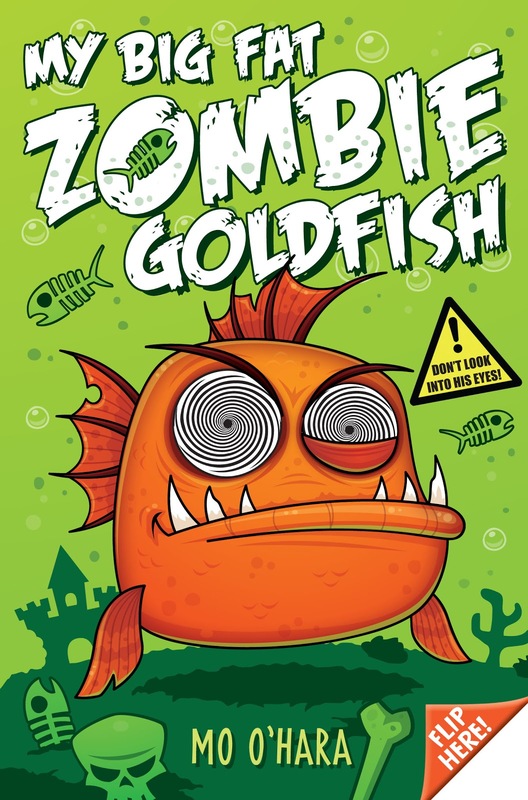 But there’s something weird about the new Frankie – he’s now a Big Fat Zombie Goldfish with hypnotic powers . . . and he’s out for revenge. I know Mo through SCBWI and we are in the same crit group. We read MBFZG at inception and in instalments and it is genuinely laugh out funny and comedic. Mo is a great visual writer and I think she’s going to do pretty damn good with this as it ticks all the boxes for younger fiction. Or rather, fiction for people who aren’t scared to belly-laugh. Mo’s book is out in March from Macmillan Kids so be sure to pre-order it. Also: zombie goldfish FTW! Sixteen-year-old Poppy St John believes in quantum particles, not tarot cards, in Dawkins, not druids. 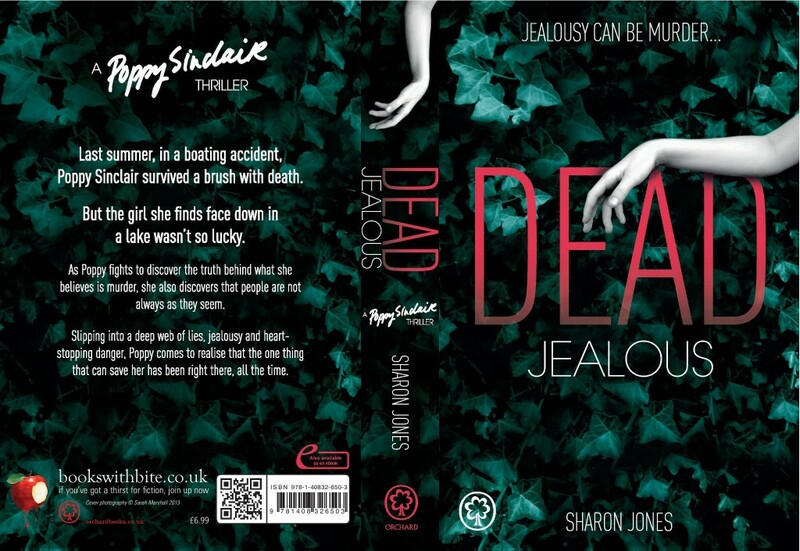 Last summer, in a boating accident in the Lake District, Poppy had a brush with death. But the girl she finds face down in Scariswater hasn’t been so lucky. As she fights to discover the truth behind what she believes is murder, Poppy is forced to concede that people and things are not always what they seem and, slipping ever deeper into a web of lies, jealousy and heart-stopping danger, she comes to realise – too late – that the one thing that can save her has been right there, all the time. I’ve known Sharon for a few years know – we first met online via Twitter, then in real life and between Sharon, Sarah and I, we struck up this cool friendship of badgering one another into writing and finishing books and stressing about agents and in Sharon’s case, getting a bookdeal and all that entails. I love my writerly pals. Professor David Ullman is among the world’s leading authorities on Christian religion and myth. Not that he’s a believer. He sees what he teaches as nothing more than entrenched fiction – the “things that go bump in the mind”. It’s why when he’s offered a trip to Venice to be a consultant on a case study based on his expertise as a “demonologist” he accepts, seeing it as a free vacation for his teenage daughter and himself. How cool does that sound? I like a bit of horror! The Sadiri were once the galaxy’s ruling élite, but now their home planet has been rendered unlivable and most of the population destroyed. The few groups living on other worlds are desperately short of Sadiri women, and their extinction is all but certain. Civil servant Grace Delarua is assigned to work with Councillor Dllenahkh, a Sadiri, on his mission to visit distant communities, looking for possible mates. Delarua is impulsive, garrulous and fully immersed in the single life; Dllenahkh is controlled, taciturn and responsible for keeping his community together. They both have a lot to learn. I have a copy of Redemption in Indigo which I will be reading very soon. I love Karen Lord’s gustiness when it comes to interviews so I’m looking forward to trying her books. Thirteen-year-old Aluna has lived her entire life under the ocean with the Coral Kampii in the City of Shifting Tides. But after centuries spent hidden from the Above World, her colony’s survival is in doubt. The Kampii’s breathing necklaces are failing, but the elders are unwilling to venture above water to seek answers. Only headstrong Aluna and her friend Hoku are stubborn and bold enough to face the terrors of land to search for a way to save their people. But can Aluna’s fierce determination and fighting skills, and Hoku’s tech-savvy, keep them safe? Set in a world where overcrowding has led humans to adapt – growing tails to live under the ocean or wings to live on mountains – here is a ride through a future where greed and cruelty have gone unchecked, but the loyalty of friends remains true. I first stumbled across Jenn Reese in a conversation with some people on twitter. They reccomended her book: Jade Tiger to me and I bought it in from the States and it is SO good. Martial arts kung fu questing with great folklore. All the stuff I like. So this new book by her, a fantastical sounding MG novel, has me excited. I love circus stories. There’s something about them that is magical and creepy and this story and the way it’s been described just sounds fantastical. In the debut novel DREAMS AND SHADOWS, screenwriter and noted film critic C. Robert Cargill takes us beyond the veil, through the lives of Ewan and Colby, young men whose spirits have been enmeshed with the otherworld from a young age. This brilliantly crafted narrative – part Neil Gaiman, part Guillermo Del Torro, part William Burroughs – follows the boys from their star-crossed adolescences to their haunted adulthoods. Cargill’s tour-de-force takes us inside the Limestone Kingdom, a parallel universe where whisky-swilling genies and foul-mouthed wizards argue over the state of the metaphysical realm. Having left the spirit world and returned to the human world, Ewan and Colby discover that the creatures from this previous life have not forgotten them, and that fate can never be sidestepped. What more can I say apart from: I want to read this now!? I’m a fan. More than that I don’t need to say. This sounds magical and strange and odd and vintage Gaiman. I must have it! There we have it – only a tiny few of the books on my massive wishlist. Putting them on the wishlist is almost as good as adding them to my basket, but not quite. We now have a new and reinstated rule in the house: one book in, one book out. It makes sense. As it stands we have around a hundred books that need to go out to charity shops this weekend, along with a handful of dvds that we now no longer want. It’s all about trimming the madness in the house to make it a more cohesive and creative living space for both Mark and myself. Here’s hoping we can pull that off. I’ve been itching to get my hands on Mo’s book for ages. She’s such a nut that you just know anything she writes will be hilarious. But I should never have read through to the end of this post because now I’m desperate for that Gaiman book too. Grrr! Oh Jeannette! It is just so good – you won’t regret the wait for Mo’s book. Also, sorry about adding more awesome to your TBR pile! But Gaiman is a must. I continue to be thrilled with the shout-outs for JADE TIGER — thank you! I also wanted to mention that ABOVE WORLD will be released in the UK on April 4th this year, so hopefully it will be cheaper and easier to come by. Totally different cover, too! You are so welcome Jenn! It’s such a good fun book. Also: I had no idea we’ll be seeing the MG book in the UK so I’m very excited!